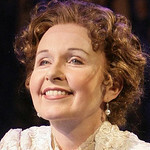 Kate Burton has Huntington credits that include The Corn is Green (2009) (also at Williamstown Theatre Festival), The Cherry Orchard (2007), and Hedda Gabler (2000-2001) (also at Bay Street Theatre, Williamstown Theatre Festival, and on Broadway), all directed by Nicholas Martin, and The Seagull (2014) and Aristocrats (1990-1991). Her additional Broadway credits include The Constant Wife, The Elephant Man, Spring Awakening, Some Americans Abroad, The Beauty Queen of Leenane, Wild Honey, Company, Alice in Wonderland, and Present Laughter. She has performed at Williamstown Theatre Festival for 18 seasons, most recently in Hapgood. Other theatre credits include The House of Blue Leaves (dir. Nicholas Martin) and Arcadia (Center Theatre Group) and Three Sisters (London’s West End). Film credits include Liberal Arts, 2 Days in New York, 127 Hours, Unfaithful, Swimfan, The Ice Storm, and Big Trouble in Little China. Her television work includes "Scandal," "Rake," “Veep," "Grimm," "Grey’s Anatomy," "Rescue Me," "The Good Wife," and all versions of “Law & Order." She is the recipient of an Elliot Norton Award, an Emmy Award, two Emmy Award nominations, three Tony Award nominations, and an Honorary Doctorate of Fine Arts from Brown University. She is a member of The Corporation of Brown University, her alma mater, and is a graduate of the Yale School of Drama.